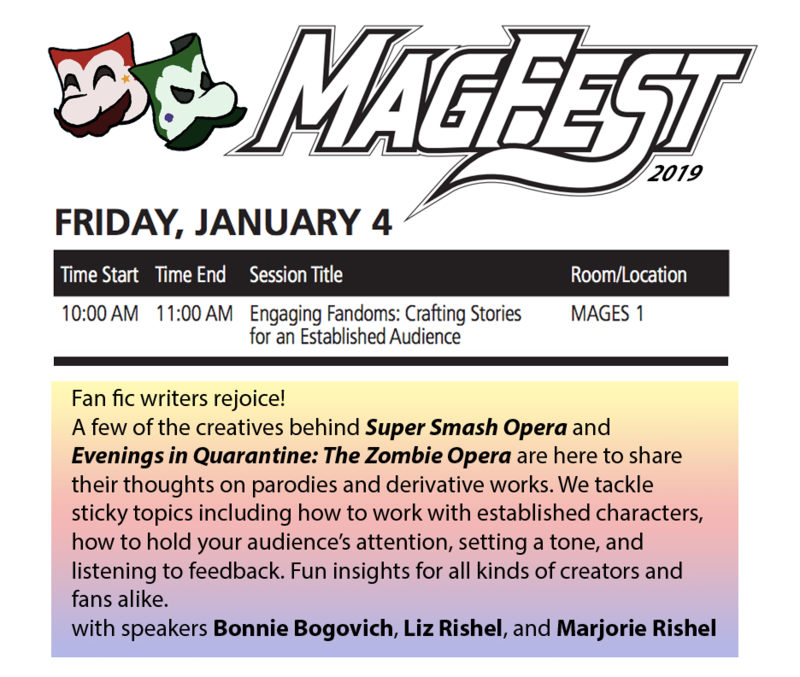 Click the flyer graphic on the left to learn more about our talk at MAGfest this friday! Friday, Jan 4th at 10am in room MAGES 1!!! Posted in Uncategorized on December 31, 2018 by blackcatbonifide. Posted in Uncategorized on November 30, 2018 by blackcatbonifide. Posted in Uncategorized on April 9, 2018 by blackcatbonifide. Posted in Uncategorized on March 15, 2018 by blackcatbonifide. Posted in Uncategorized on January 10, 2018 by blackcatbonifide. Many thanks again to MAGfest for having us return as Guests this year to premiere our latest creation, “Aria Kart with Live Orchestra”. It was a smashing success! We had lines out the door, closed the room at capacity (again) AND they were able to stream us LIVE in realtime! More updates soon, after we get a second to catch our breath! PHEW!!!! Currently the whole team are packing up leaving the convention center and are en route to their homes and families. Safe travels and endless thanks again to our fabulous cast, crew, musicians, and fans! Posted in Uncategorized on January 8, 2018 by blackcatbonifide.